Here is an excellent video on David Lynch, of whom I have spoken before – here and here. This video is a wonderful exploration on the treachery of Logos, when one remains in Logos. In our current culture, and at our current evolutionary stage, it is too common to remain in Logos and that is the danger. Logos is not a problem, unless you refuse to move beyond it, to Eros. That is the problem we are confronting now. But I am convinced that we are in the process of correcting this limitation in human consciousness, as I first put forward here, in my central thesis. Humanity is evolving and Eros rises as Logos is put into its proper context. That is the challenge of our age. That is the challenge that Carl Jung explored and dedicated his life to. I think Lynch is correct. I think most artists are very reluctant to put words or explanations to their art. Obviously Lynch does talk and I have little doubt that he talks about his film with his actors, technical crew etc. Language cannot be avoided in most situations, but you have to be aware of its limitations and the very real treachery of not keeping that in your consciousness. Logos is not wrong, but it carries many limitations that need to be recognized and constantly in one’s thoughts. For an artist to explain her or his work to the audience is particularly dangerous because it cripples the creative process. Art is a collaboration between the artist and the audience. The artist may have a very conscious notion of the meaning, but perhaps not so much. In any case, the beauty, magic and power of art is that the receiver of the art creates meaning in their own mind from the piece. A painting or a movie may inspire ideas, feelings and soulful explosions within a person that the artist could not have imagined in their wildest dreams. And those are just as real and much more meaningful for that viewer than anything the artist might say in words. The artist speaks through her painting and words would adulterate the magic by stifling the creative process within the viewer. Logos looks for answers and wants certainty. Eros, the soul of art, invites creation and mystery, that never ends. The treachery of language is that Logos seduces us into believing that perfect precision is possible with language. The conceit of language is that one can find the right words to express truth – a 100% mapping of perception and communication to reality. One always tries to communicate as well as possible. And when you’re designing a bridge or building a car engine, precision is something to aim for, and Logos is the tool for this. But when you build that bridge in the real world and the engine goes into the car to drive, the chaos of reality – the area of Eros begins to dominate. You don’t abandon Logos or ignore it in those domains, but you can’t overvalue it either. Language does not need to be tossed aside, although there are certainly times for that. Two lovers can have a wonderful conversation, but there comes a time to stop talking. Awareness of the limitations and danger in language is never to be forgotten or minimized. Logos is not the enemy or even an enemy. Language is certainly not bad – it’s an amazing tool that we constantly use – obviously. The problem arises with our unconscious use and engagement with language – overvaluing it as a means to arrive at and communicate with the truth. I’m going to end this with a movie that is an ode to the limitations of Logos and of language. 2001: A Space Odyssey is an amazing movie. It has no dialogue for the first 25 minutes nor for the last 23 and no dialogue for a total of around 88 minutes. The dialogue is very spare and most if it is relatively banal conversation that simply drives the story. The major ideas and themes of the movie do not rely upon Logos, but Eros. Ah. Eros. And true art. The marrow of life in all it’s mystery and wonder. I first saw the movie, as a kid, in a hushed movie theater, with my best friend. He was a year older and he thought the movie was stupid. I did not understand the movie, but I was awestruck. I wasn’t sure what I’d just seen, but I knew it was really important for me and the movie has stayed with me ever since. I realize now that this movie profoundly spoke to me in the language of Eros, and that is why it remained with me so deeply. This is a movie that embraces mystery and Eros. Its creator, the great Stanley Kubrick, said very little about the movie as David Lynch advises, but the major theme that he intended is revealed here, but that theme is such an enormous mystery itself, that Kubrick is simply letting us in on the scope of his movie. We still bring our own meaning to the art. The following video is an excellent short piece on the movie that gives away little, but does explore some of the major themes. It does not try to explain the movie in a neat and tidy package – it leaves that for the viewer, as it should. I hope it inspires some people to see the movie who do not know of it. or are not attracted to science fiction. 2001 is simply art. interestingly, the video discusses Kubrick’s strategy in the film. He uses Logos to tell the story of Eros, because he knows his audience is predisposed to Logos and he must use that tool to arrive at his deeper story of Eros. That is precisely my thesis. Logos must be recognized and used as a path to Eros, to deeper meaning. The divine marriage of the two will lead to our further evolution, and this is a story of evolution – deep evolution. The face of this astronaut is the face of a man in being called to Eros, confronting Logos, and the need to rise beyond it. Eros rises. Evolution can’t happen in a straight line. Life can’t be lived in a straight line. You might aim for a straight line, but you have to accept the curves and the curbs as being inevitable and even desirable – really. Evolution is a process of discovery and experimentation, blind alleys and surprising detours. My Logos mind understands this, more or less completely and hates it – at least most of the time. My ego is starting to get it, although it has a ways to go. My Eros mind is totally cool with it. We’re all making it up as we go along. Here’s a song I rediscovered in my collection and I appreciate it now more than I ever did. Take it away Spiritualized – gotta love that name. Here we have a small step in our human evolution, but we need to recognize and celebrate the small steps. It’s easy to become cynical or discouraged – in our own lives and in society and humanity in general. Our egos, driven by Logos, are biased to see problems, because that’s what our left brain is best at dealing with…sort of. When you’re a hammer, you look for nails. And big surprise – you can find them. Your left brain is a hammer of Logos. Ask any carpenter – hammers are useful, but not for everything. But I digress, as I am prone to do. 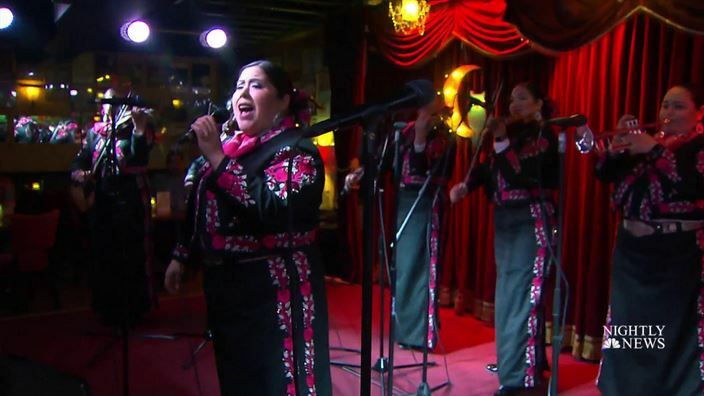 This story is of women moving into traditional Mexican Mariacha bands. Humanity is evolving and gender roles and identity are a big part of this evolution – both as a driver and as a manifestation and feature. And all is well. Art and mythology are the most potent elixirs of truth. They bypass the filters of Logos and words to reach us directly. They can use words as an artist uses paint, but the words are not the message – only the medium – Logos in service to Eros. It’s the gig of Logos to serve the bigger picture. We are witnessing more and more art as we evolve. There are more channels of unique and provocative art. Important and life-changing art is available to millions, when such art was not even imaginable in mainstream culture a few decades ago. A great example is the series, The OA, on Netflix. It is a deeply metaphysical and emotional series. And it certainly expresses Jungian themes and ideas as set out in this excellent commentary from Psyche and Cinema. Check out all the videos on this site, discussing depth psychology and the movies. I wish there were a lot more movies discussed so intelligently, and revealingly. The OA series centers around a woman, played by Brit Marling, also co-creator and writer of the show. She is remarkable and clearly in synch with the material. Marling was a co-star in I Origins, which I loved and briefly alluded to here. The series begins with Marling’s character, Prairie, dramatically returning to her parents from a kidnapping and imprisonment, after seven years. Her metaphysical journey there with her fellow captives unfolds slowly as she tells the story to a ragtag (in the best sense of the word) group of high school kids and an older teacher. Everyone is to become part of the story and not simply a passive listener. The OA is multi-layered and the Jungian concept of individuation is front and center, as well as an allegory of our physical lives within a much larger existence. Deep and metaphysical, with fascinating characters who you can really identify with and appreciate – what more could you ask for? The show explores my thesis regarding Eros and Logos. A main character, Hap, is essentially consumed with Logos, yet he is desperate to find that which lies beyond the world of Logos – beyond this physical world. He cannot give up on Logos as his only method of discovery. In his desperation, he is a tragic and dangerous figure in this conflict within himself, which he projects outward to the world. I’ve not yet seen the full series – I don’t want it to end too soon. The first season of eight episodes is complete and available on Netflix. There is a second season that is now in production. Well sort of happy, in a sort of melancholy way. Emotions are often life that – complicated. Why must all the days be dark? Can no one ever escape their fears? With just one small hope? There are those who are lost in Logos. There are those who are lost in Eros. Those who find their Self will embrace both, in the divine marriage of Eros and Logos. We must make that our new myth. Truth is not some simple statement of fact, but a flower that opens gently, never to cease in that opening, like a lotus whose petals are infinite. It is the process of opening, of blooming, that reveals a little bit more, from behind the veil. Truth is a living thing, and in that, it is really a process of unfolding. In our observation, in our openness to truth, the energy behind that opening is supplied. We are part of truth – truth does not sit outside of us to be perceived and set down. Truth is alive, as we are. I have been reading and writing for some time and I have come to a thesis that explains a great deal for me and I hope for others. I will continue to develop this thesis. This is my purpose here, and will continue to be in the future. For me, this begins and ends with Carl Jung, although nothing ever ends. His genius led me to the ideas that I outline here, and then I circle back to Jung, always back to Jung. As I have said before, I consider Jung to be the most important thinker of the last five hundred years. He brought together wisdom from the past and made much greater sense of it, as he integrated it, as well as making countless unique contributions that are breath-taking in scope. I am addressing five broad subjects here that form the basis of my thesis, but they all boil down to a central idea that can be expressed by two words. But those two words require explanation before their meaning and significance begin to become clear. Consciousness First – I have written about this before, but it is fundamental and not given the serious consideration it deserves, because modern materialist science, based upon the opposite axiom, dismisses it to the point of ridicule. Existence either begins with matter that leads to life and consciousness, or existence begins with consciousness that leads to matter. Materialist science presupposes that existence begins with matter because this metaphysical starting point cannot be avoided. Matter obviously seems to exist and so does consciousness, although there are some who deny that consciousness is anything more than an illusion – an invention of our mental processes. Materialist science would like to pretend that the issue is not a serious one. It is a serious question that I have discussed and will further. In any case, I start with consciousness. Deep Evolution – Evolution, as a process, is apparently operative throughout life. Evolution, as a concept, really got started with Darwin, and now an accepted part of the field of biology. Very broadly, evolution sees entities changing over time in order to increase the chances of surviving. Changes that enhance survival and reproduction tend to remain and prosper, while those changes that cause problems for survival and reproduction tend to die out. This idea of successful changes lasting and unsuccessful changes not, is a very simplistic sketch of natural selection. Evolution does not answer how these changes come about and evolution, as a theory to explain the development of life, is much more controversial than one would think by reading the status quo materialist science position. I am embracing a very broad notion of evolution that I call deep evolution. I use this to encompass evolution from the cellular, biochemical, gene level, through the level of the individual human level, up to the social, cultural and species level. This means that my notion of the causes of this deep evolution includes everything from random mutations of genes up to the conscious and unconscious intent of conscious agents. And simple survival and reproduction may not be the only drivers or measure of success. Carl Jung – Jung allows us to understand and give meaning to our psychological challenges and neuroses. He opened up the avenues to the great storehouses of knowledge that are to be found in the collective unconscious, the archetypes, dreams, mythology, symbols and art. Scientific materialism minimizes the importance of these – or simply dismisses them completely as irrelevant to human knowledge and experience. Yet both humanity and most individuals face greater challenges than ever before, while living in a world of untold abundance and greater knowledge than ever before. But this knowledge is anchored in Logos. Logos has come to dominate. Obviously there is something wrong and Jung directed our attention to the problem, and more importantly to the solutions and challenges in meeting our destiny and purpose. Jung saw that we were, and are, ignoring enormous sources of wisdom and knowledge that we must make conscious. Eros Rises – I see the approach of the two brain hemispheres as largely mirroring the concept of Eros in the right hemisphere and Logos in the left hemisphere. I have written of these two central concepts before. I agree with McGilchrist that the natural dominating hemisphere is the right – that of Eros. Our current problems are largely due to the dominance of the left hemisphere and Logos. Scientific, materialist, rationalism has taken control of our institutions, most of our thinking, and the way we lead our lives. Logos is not wrong, but it’s limited view is meant to be the servant, not the master. Our egos have been taken over by Logos, and Eros has been pushed aside. Logos is more associated with the masculine energy and Eros with the feminine energy. Now where I part company with many people, is when I look at the reasons and consequences for this current imbalance. I see the rise and dominance of Logos as being an evolutionary feature of humanity – a feature of our deep evolution. Eros would likely have been largely dominant for most of the time of humanity, although this can never be one-sided and is speculative on my part. But I believe that Logos and our left brain had to become much more active as part of our evolution in service to our long-term interests and our deep evolution. The dominance of Logos has not been a mistake, but it has been a temporary development in our deep evolution – almost like the wild exuberance of adolescence that is a necessary feature of reaching maturity, in an unsustainable recklessness to assert authority over one’s self, as one leaves childhood dependence behind, until that wild individualism can be integrated with the demands of adulthood to become a strong, independent, and responsible human. Eros did not go away – it can never go away. It has remained active in our consciousness and even more active in our unconscious, through the collective unconscious, mythology, dreams, archetypes, symbols, and art – precisely as Jung set out. Eros could no more be defeated or subjugated than life itself, because Eros is the chaos out of which life begins, and is the ultimate source of creation. The dominance of Logos that developed over the last few thousand years has been gradual, but accelerating, and now we are reaching the end-game of that dominance. That is why we are experiencing such disruption in our lives as individuals, in cultures and in humanity as a whole. Eros is not going to “defeat” Logos, or marginalize it. Logos is too valuable and too important to be diminished like that. And in evolution, nothing can be lost – it is only transformed. To think that Logos needs to be defeated or fixed in some way is itself Logos thinking. Eros knows better. Eros is stronger, through it’s natural importance and centrality to life. Eros will assert itself within us and in the social sphere as it is doing so now. People will fight that as they are now, as they always have done, but deep evolution, life and Eros will not be denied. The broad sweep and the river of deep evolution will continue and integrate Logos, which is much stronger now than it used to be, with an Eros that becomes stronger still and more conscious. The ego will be tamed and integrated. Logos will not be weakened and has nothing to fear, although the ego and Logos are and will be very afraid of their demise in the short run. The ego and Logos largely see the world in terms of victory or defeat. Eros knows better and will rise to become stronger and return to centrality in our lives, but we will reach a new age where there is greater balance between Eros and Logos than humanity has ever experienced before. This will be the next major stage of the evolution of human consciousness – the divine marriage of Eros and Logos, between the energies of femininity and masculinity. My use of the terms Logos and Eros is very broad and inclusive. I am treating them as two very large poles that subsume a large number of processes, attitudes. styles, ways of being etc. I am using them simplistically in many ways. Everything does not simply neatly fit into one category or the other. But I think it is a very useful way to see the world and our challenges within it. When I read Jung, or one of his serious students, I am struck by the obvious fact that almost all the problems delineated are due to a relative excess of Logos and a shortage of Eros, that often manifests as the denial of Eros or its remaining unconscious and not being available to the consciousness of the person or the society, with all the attendant problems that Jung discussed and portrayed. I have seen in it my own life as I work to integrate my Self. Seeing how our personal lives and our society fit with this analysis, by way of Eros and Logos, will help us to see and realize the problems much more clearly and point more clearly to the solutions, that Jung spent decades writing and speaking of. But this analysis and way of seeing is a constant process of recognition, discovery and work, to integrate and to heal. Carl Jung is our best guide for all of this great transition and transformation that we are now experiencing. The ideas of Jung will help us to understand and negotiate the great changes that we will all experience, within each one of us and in our societies. The forces of deep evolution are carrying us along in ways that I do not pretend to understand. I see the general path and its ultimate success and the culmination of that divine marriage as being absolutely inevitable, just as the rise of Logos was inevitable, although temporary. But I do not pretend to know the timeline – Jung spoke in a letter of a six hundred year period of great changes. He was not speaking of precisely what I am speaking of, but I think that fundamentally we are speaking of the same change in human consciousness. I am not suggesting that the integration of Eros and Logos will be the only feature of this deep evolutionary jump and disruption. I suspect that there will be others and I have an idea of another great thinker who set out another deep evolutionary movement within humanity as well. I am convinced, however, that if we see this evolutionary disruptive period as being due to this reclaiming of Eros and those agents that support it – the collective unconscious, mythology, archetypes, symbols, art, dreams, etc – we will do much better in this turbulent period before us. I hope and believe that Jung and his thinking will become much more highly valued and adopted by more and more people. I know of no other thinker who is a greater advocate and support for the deep evolutionary movement and processes, than Carl Gustav Jung. He brought together an enormous body of historical work and knowledge, as well as his own brave explorations, to produce the basis of a coherent understanding of the human pscyhe. It is absolutely remarkable how much he accomplished in his life, yet we are still early in our understanding and much work remains to be done. Jung stressed that each person must find their own path in life and in their psychological growth and development. The unique path of an individual, within the social context of a culture and a species, is the most robust and powerful source of evolution. Our individual differences help to seed new evolutionary possibilities in our fellow human beings, just as our left and right brains, and Eros and Logos, serve to ensure that the integrated whole is greater than the sum of the parts. Eros knows this to be true. 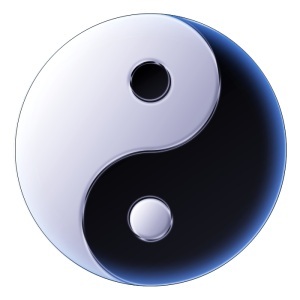 Jung, who embraced the necessity of accepting the opposite poles in everything, knew this to be true. Logos will remain strong, but Eros rises, and reclaims her strength, which was never lost or in doubt. In all of the writing on my thesis, which is to come, I am engaged in speculation. I don’t believe it is wild speculation but it certainly is out there. I will say a few things in my defense. Big ideas must be speculative to begin with, and I’m dealing with very big ideas – evolution, the meaning of life and the future of humanity. I really have no interest in considering small ideas. Professionally I am a specialist, but for this I am forced to be a generalist, but so is everyone engaged in examining big ideas. You can’t examine these ideas without speculating for two reasons. Firstly, these questions involve a number of disciplines or areas of knowledge. At one time, the world’s body of knowledge was small enough that one person could speak with some authority to bring a number of disciplines together – that time has passed. Intuitive leaps and big ideas cannot come from a committee, so a person is forced to do the best she or he can as an individual, trying to bring together as much breadth and depth of knowledge as they can. Secondly, the subjects I am looking at are, by their very nature, speculative. There is no way to make predictions for the future with a handle and perspective on the present, or consider the possible meaning of life, without speculating. So what are we to do? Should we simply throw up our hands and leave the subjects altogether? Or leave them in the hands of “experts”? When no such experts really exist? I obviously believe that speculation is justified, or even demanded by the times we live in. I am an optimist for humanity and for our culture. but we face enormous challenges. We need to speculate and explore these big ideas. As an optimist, I see many wring their hands over the fragility of the planet earth and of humanity. I largely do not share those views. Human individuals and ecological niches in the planet can be very fragile, and pain and destruction is occurring everywhere, but it always has. But overall I see the planet earth and humanity as being very robust and able to adapt to harsh conditions. We have seen those harsh conditions in the past and we are likely to see them in the future. So paint me as an eternal optimist. In any case, pessimism does not serve us. We are at risk from natural disasters as well as human ones, and I believe the greatest human risk we face is psychological. And I am dedicated to facing those issues as a student of Carl Jung. Predictions of impending disaster are equally speculative, so we’re all in the same speculative boat. So let’s speculate intelligently and play with all these big ideas. I also believe that human life has meaning and purpose which means that our survival makes sense. If we are an accident of material causes then our survival is likely contingent on forces way beyond our control. But if we are here for a purpose, with lives that have deeper meaning, it is reasonable to expect that we will survive as a species. That does not mean that survival is going to be easy, or enjoyable for all periods however. I cannot prove that humanity has a greater purpose, just as those who believe we are simply clever meat robots, living in an impersonal materialist universe, cannot prove their assertion. One cannot prove an axiom. You start where you are, with the axiom you embrace, and go from there. I begin with the axiom that we do have a greater purpose as individuals and as a species. You follow the axiom and see where it takes you. If you find there are problems with where you are being taken, then you may decide to reformulate your axiom. I am not, however, a complacent optimist, which is why I am engaging in all this speculation and writing about my thesis. I think each one of us, and humanity in general, are in for a wild ride. I am convinced that we are in turbulent times that are bound to become more disruptive. I see good and bad in all of this, but ultimate great good. But again, pain and destruction are very real and I think that Carl Jung has much to teach us to help us all in this process that fate or destiny has delivered to humanity. He was very aware of the challenging and dangerous times ahead. I share that concern, but as an optimist. Speculation is really the only way to explore new, big ideas. To attempt to be rigorous and looking for ironclad proof at the outset is bound to get us bogged down and lead to frustration and failure. Intuitive leaps are speculation. Einstein began his theory of relativity by thought experiments of imagining what it would be like to ride a light beam – shear speculation, that led to great discoveries and proven theories. I am no Einstein, but I am speculating on bigger ideas than the theory of relativity. I make no apologies for engaging in speculation. Our times and our humanity demands such speculations – the more the better. Further, I make no claims of divine knowledge or truth. I welcome exploring these ideas more and I am open to revising, modifying or tossing out whole sections or all of it, if evidence or truth demands it. But I remain a dedicated student of speculation. Intuitive leaps are the basis of creation. Let’s play with these big ideas.